A long time ago, Sk:n Clinics contacted me about their laser tattoo removal service. I told them I don't have tattoos, but if there was anything which would save my skin from acne, I would love them forever. In they swooped with their anti-blemish range to save my skin. 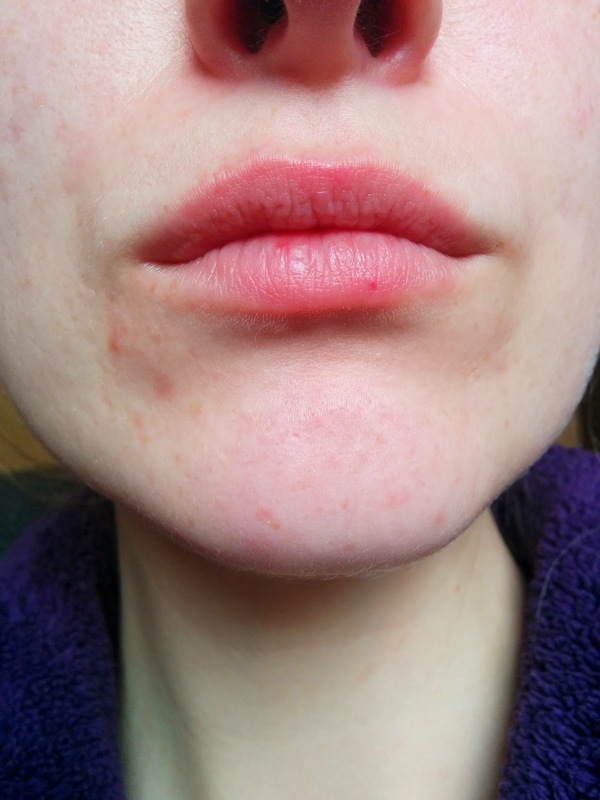 Having suffered from acne since I was a teenager, I have tried everything from antibiotics to Roaccutaine to save it, and usually settle for skincare which makes it slightly better. I started this range in the hopes that something might actually help a little more than "slightly better". I tested out the vitamin rich cleanser for oily skin, skin hydrator for oily and acne prone skin, pore refining lotion, blemish control lotion, intense spot cream and maintenance serum. When I got them I was really confused as to what product to use when, on what problem! However I read and re-read the leaflets inside and so I'll talk you through the review, grouped in when to apply them. Mornings are the most confusing in this skincare routine. First you wash your face with the Vitamin Rich Cleanser for Oily Skin £16.75. This cleanser contains glycolic acid which exfoliates old skin cells and keeps skin really clean. It also is pH balanced and contains lots of nice vitamins for your skin. First impressions were scary - this is a slightly foaming cleanser and I haven't used anything slightly foaming in years because of my very sensitive skin. However I didn't have any bad reactions and felt my face was very soft and clean after using, rather than tight like other soaps for oily skin. The cleanser applied well and had a fresh scent, although my partner said it smelt like cottage cheese! Next you apply the skin hydrator for oily and acne prone skin. I think this is £20 although I can't currently see it on the website. This product is soothing and hydrating, and is a real must when applying lots of acids to protect skin. It also smelt a little odd, but at least wasn't full of artificial scents which could have irritated my skin. 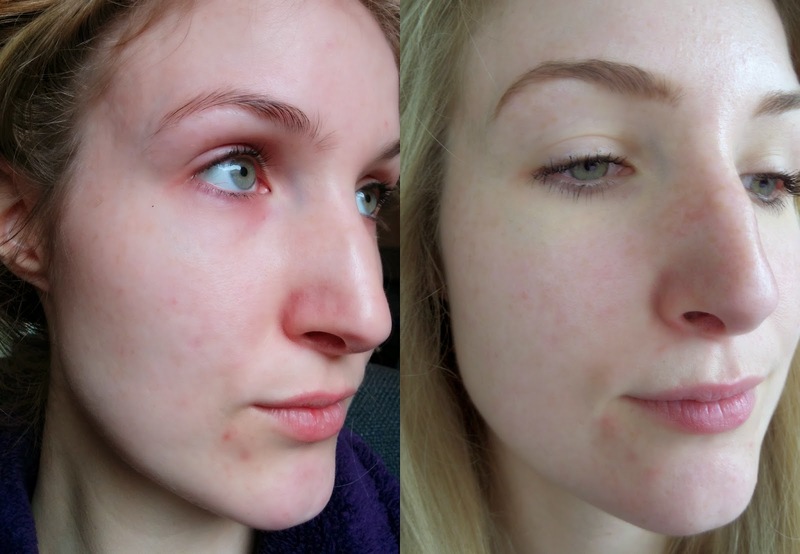 After 10 minutes you can apply the next product - here you have a choice of 2: the Maintenance Serum which contains malic acid and mandelic acid (an alpha hydroxy acid), or the Blemish Control Lotion (£26) which contains all acne sufferer's best friend, salicylic acid. The Maintenance serum works to reduce how oily your t-zone is and prevents spots from forming in the first place. It's a really good product but I did find that if you apply makeup over it, it tends to "pill" up and look like dry skin. It could be left to the night time but the leaflet suggested it was best during the day so I stuck to the rules. 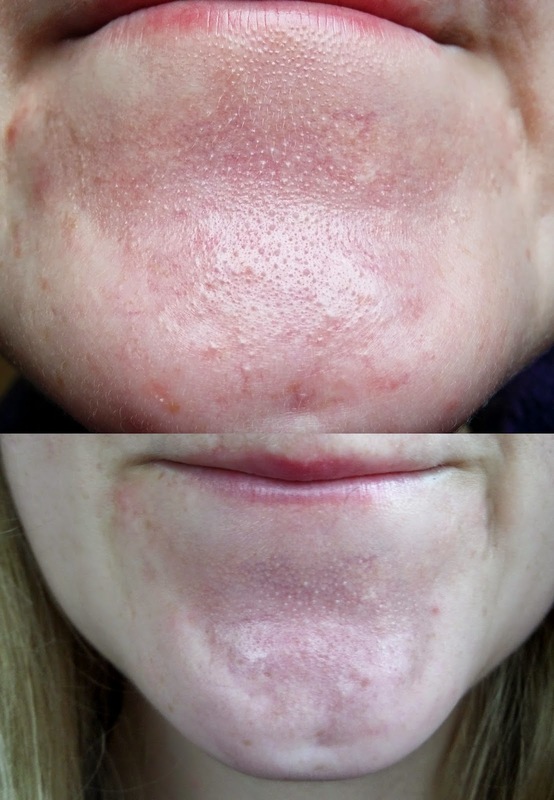 The Blemish Control Lotion is for skin which inflamed, spotty and suffering. It reduces the redness and swelling in areas of spots and slows oil production and therefore bacteria growth. 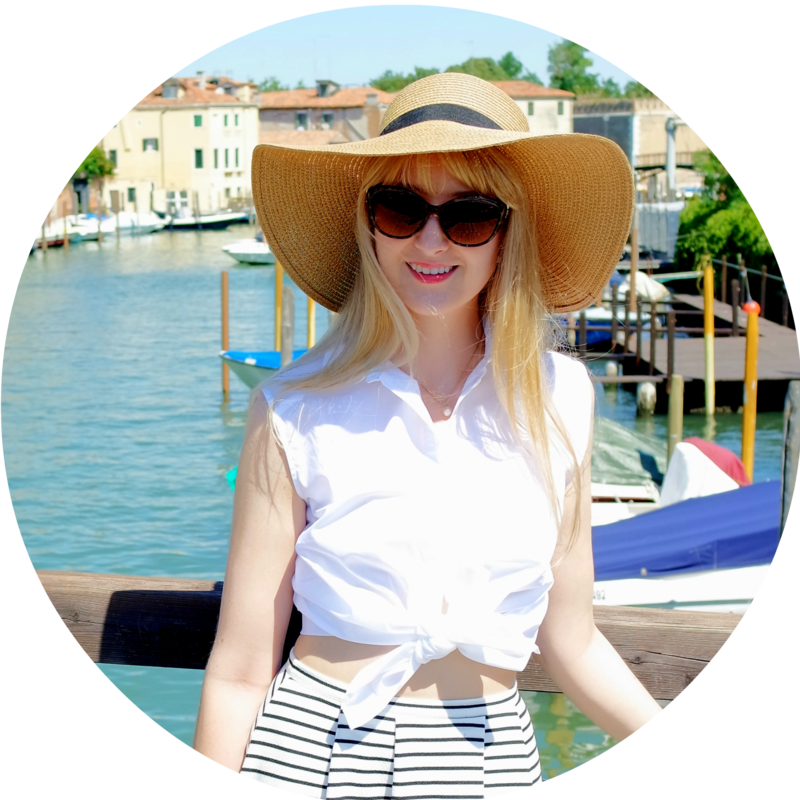 With all the acids, you have to make sure you are wearing an SPF during the day to protect your skin against damage. Evenings are much more straight forward (thank goodness!). Again you wash your face with the cleanser and apply a thin layer of hydrator. However after 10 minutes (or after you've brushed your teeth and fed the cat), you apply Pore Refining Lotion (£27.25). This contains Vitamin A and more glycolic acid to clear pores, improve the texture of damaged skin (yes please on my acne scars!) and hydrate. If you have a spot crisis, the Intense Spot Lotion (£15.75) reduces the redness, size and bacteria in the spot to kill it quick. This has been a great potion to have in the cupboard and use only now and again. I can see it lasting for ages (unless my boyfriend keeps pinching it). So overall, how has it worked for me? 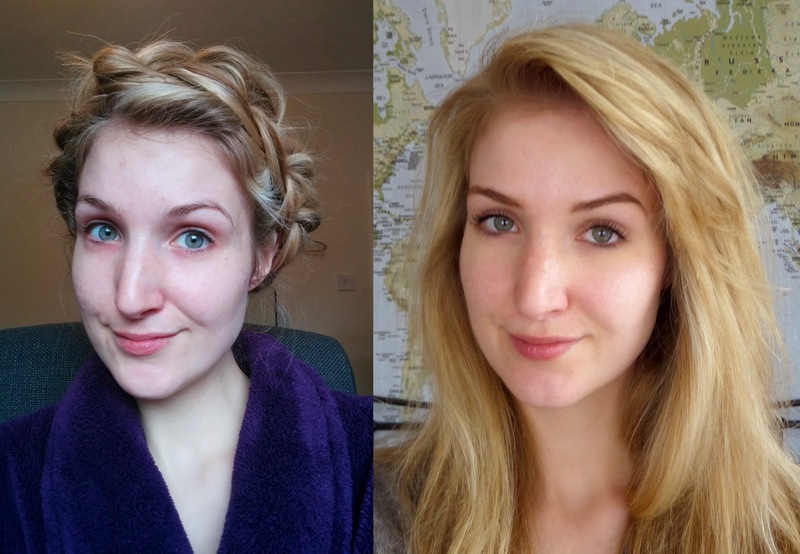 Over the course of a month, I tested these products every day. 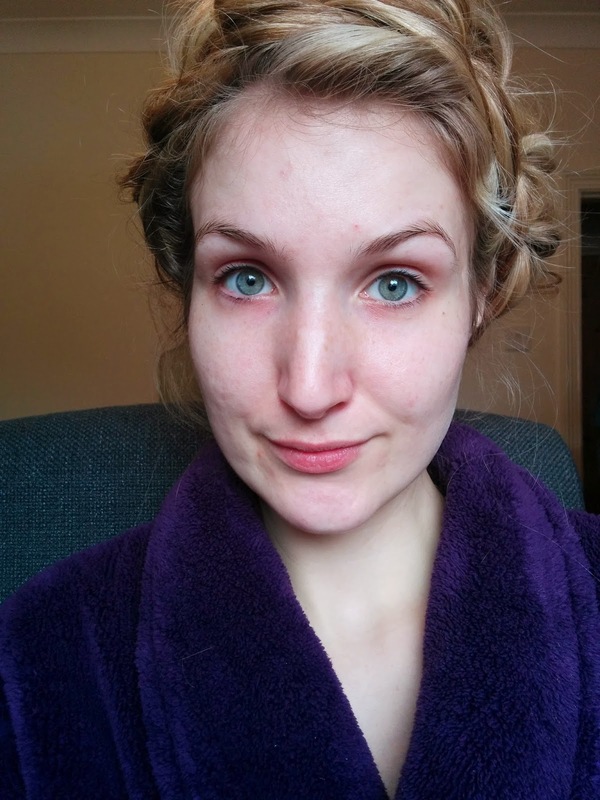 I took horrible makeup free before photos and after photos and have compared some for you. Please don't say anything mean about a mid-20s person with teenage horror skin. My post-teenage acne face is a bit of a mess. I still get spots on my chin, and strange under the skin lumps. My nose is plagued by blackheads and I have an acne pitted scar on my right cheek which I am strangely ashamed of. 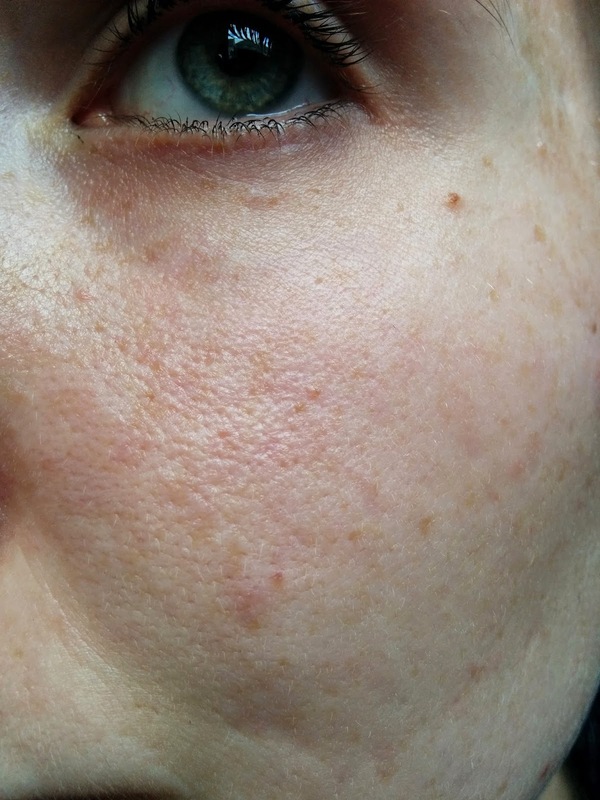 My skintone is uneven and looks rough which isn't helped by the huge-looking pores and damage marks. 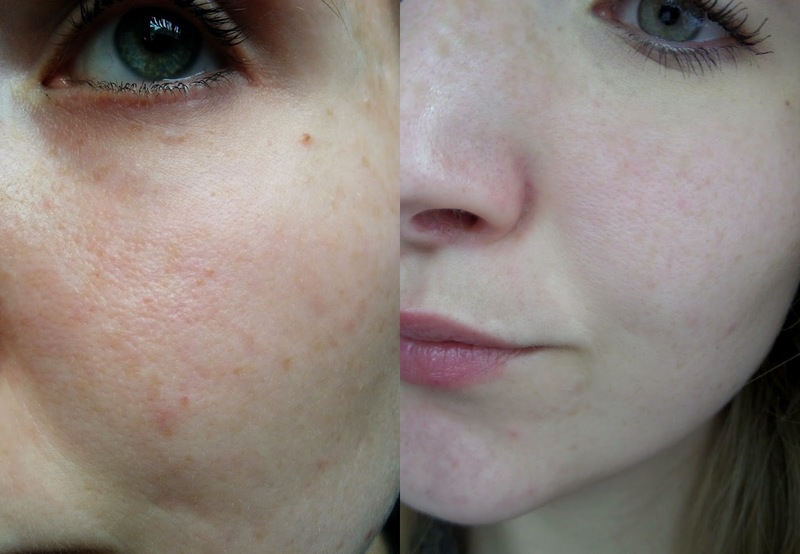 My skin is so much better! I still have some marks from where recent spots are healing, but I think my skin tone has evened out a lot. 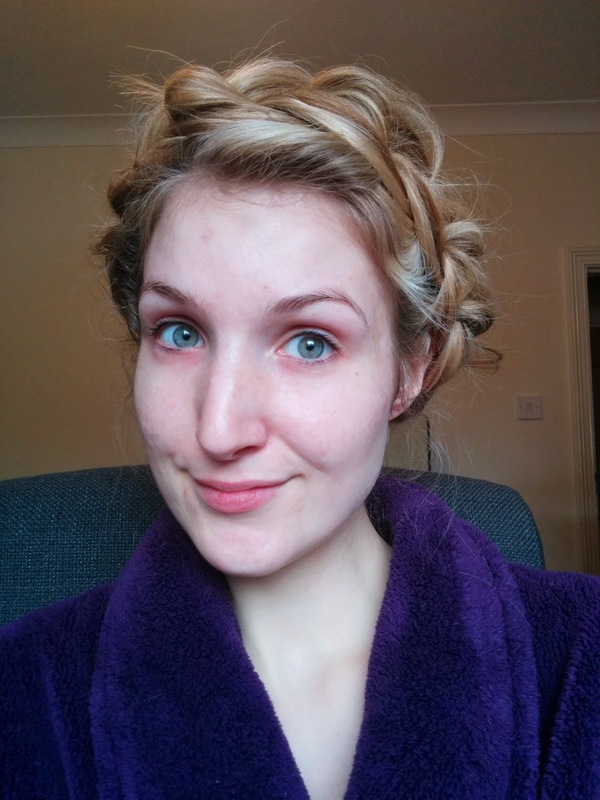 I also think my acne scars are looking less obvious (or at least I'm less bothered by them). Although pores can't change in size, I think they are looking smaller and clearer, any my blackheads seem to have almost gone. Look how much that scar has reduced on my cheek! I think the main change is also that I'm confident! I'm bouncing into the bathroom after I've taken off my makeup and saying "look at my face!!!!!" to Sam and I've gone some days without foundation. The products are quite expensive, from about £10 to £30, but only around the same as Clinique or Dermalogica. However when you have acne, I think a lot of us agree that'd we'd do anything to improve our skin. If that means using my credit card once every 6 months to buy a lot of products I'm ok with it. Next on my skin renovation list: I'd love a chemical peel! 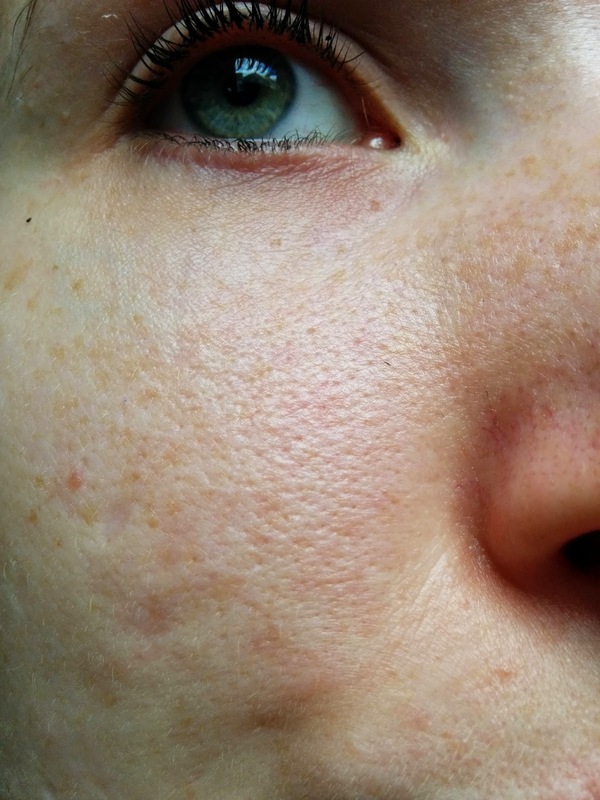 After seeing how much change the acids have had on my skin, I'd love to try an all-over deep peel to show unmarked skin and turn a new leaf on my skin story. Thanks for sharing! Most of the information about these products are from the official website so it's good that there's an honest review from a member of the public who's actually tried the range. Currently using most of these as I have oily, blemish prone skin with very visible pores & some acne scars. Did you stick with the range over time? Interested to know if your skin continued to improve. These products give great results.. Thank you for sharing, you are brave for putting close ups of you out in the open! It's truly inspiring. Next time you want to have a Laser Hair Removal London session feel free to contact Medspa London, as they will surely offer you a nice experience throughout.